Are you ready to learn the 4 Easy Steps To Get Your Employees Excited About Change!? And so much more as I'm sharing my 4 Easy Steps that are used by my clients to generate enthusiasm and commitment for their change initiatives! Dr. Heather is a business psychologist who specializes in leadership advising and is the owner of Transformation Group, LLC, a leading growth and performance firm. For the past eleven years, she has worked with CEOs, business owners and managers who struggle with getting their employees to do the job they pay them to do. Instead, she helps them improve efficiencies, trust, and engagement within their team so they can boost productivity and revenue as a result of having a high performing team. 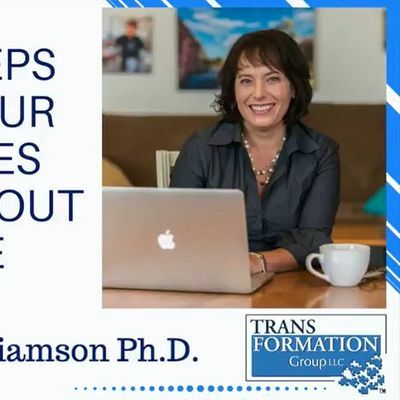 For further information about Dr. Heather and the professional services her company offers, please see www.transformationgroupllc.com. "I am so grateful for my time with you. Your insight and experience helped me to move further away from transactional leadership and to another level of transformational leadership. You facilitated my discovery of stronger self-awareness and more strategic thinking which aided me in taking advantage of available opportunities...there was growth in my personal presence which led me to be recognized more by senior management and peers. We are all better because you listened, identified the needs and offered impactful ways to face and overcome challenges. The transformation is tangible and I owe it all to you." DON'T MISS THIS PREMIUM TRAINING! Receive INSTANT ACCESS when you sign up for the Webinar so that you can watch when it fits into YOUR schedule. Use the "Select a Date" button above to register! Spring Ice Cream Making Workshop with Lick Honest Ice Creams!